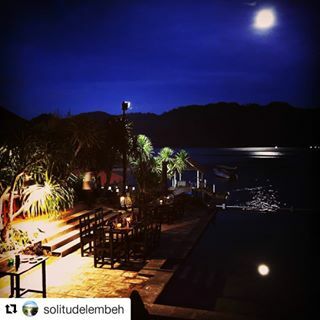 Set in vibrant tropical gardens perched right above the water’s edge, Solitude Lembeh directly overlooks the water and faces Pulau Lembeh, which lies just across the Strait. 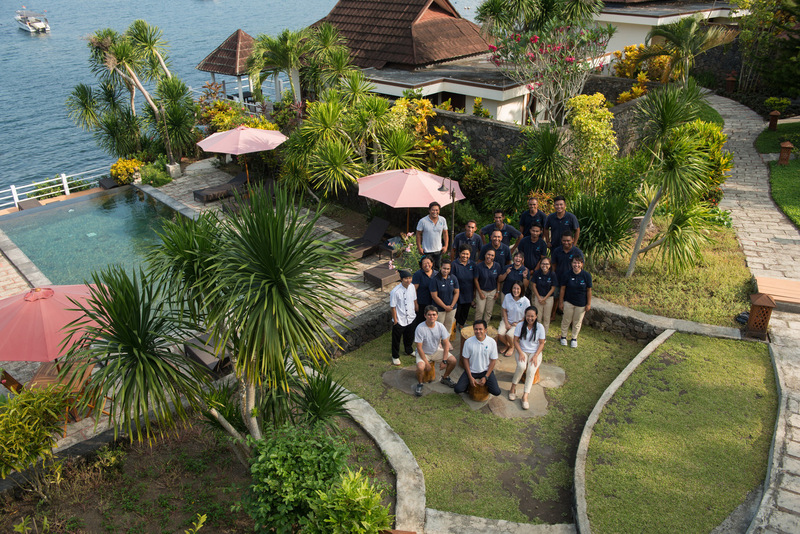 The resort is designed to ensure guests enjoy the intimate exclusivity and privacy of the natural landscape. 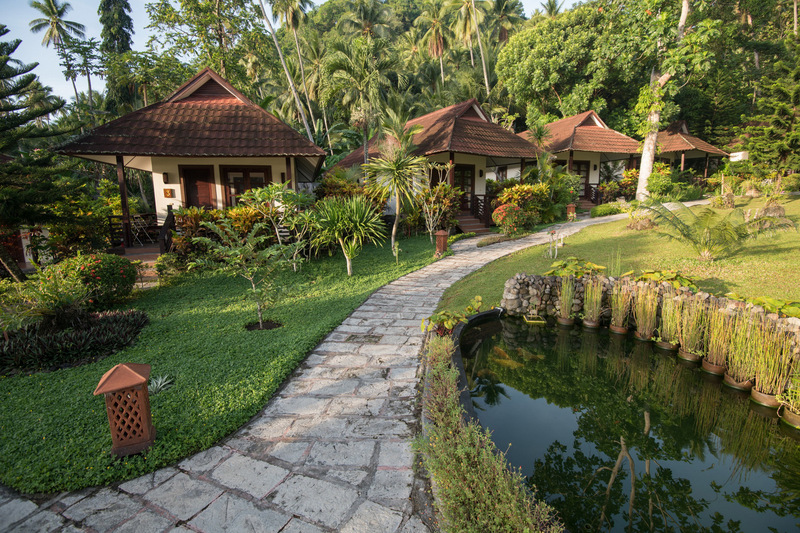 The resort welcomes guests with 24 spacious and well-appointed villas and rooms, all designed with a traditional Minahasan accent/decor. Four main categories of accommodation are available to choose from: Garden-View (8 with partial sea view), 2 sea-front villas and 14 deluxe rooms (6 with full sea views). Ranging from 35 to 70 sqm the villas can cater to the needs of different travelers including those who may need access via wheelchair. 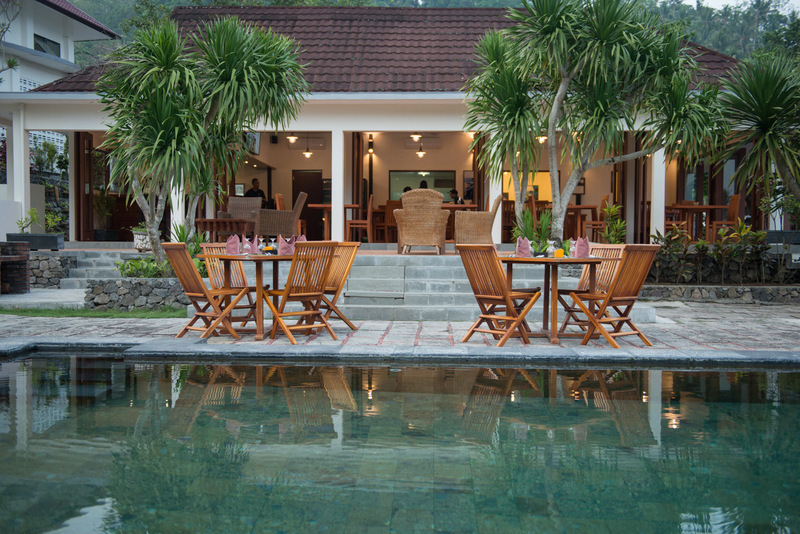 Each villa comes attached with its own private terrace/veranda complete with a seating area and relaxing daybed. 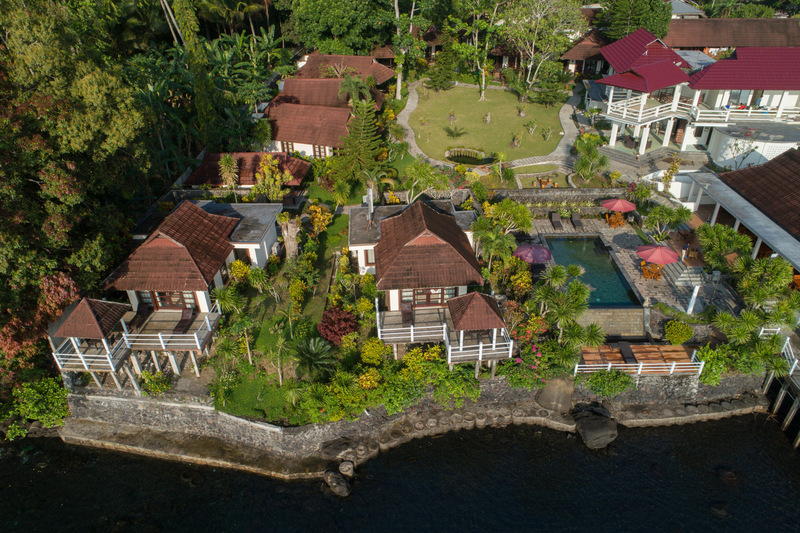 The waterfront villas feature their own private decks and gazebos by the water’s edge overlooking the Lembeh Strait. The large guestrooms feature double-height vaulted ceilings with handmade terrazzo flooring throughout. An over-sized bathroom that features both indoor and outdoor shower areas with complimentary toiletries provided throughout your stay. Individual climate control air-conditioning, comfortable beds and duvets will ensure that you get a good night’s sleep before next day’s diving. The infinity-edge swimming pool with built-in jacuzzi is lined with hand-made tiles and lies right on the seafront overlooking the resort’s jetty and sundeck – It is the perfect area to unwind, soak up the scenery and relax with an array of refreshments between or after dives. 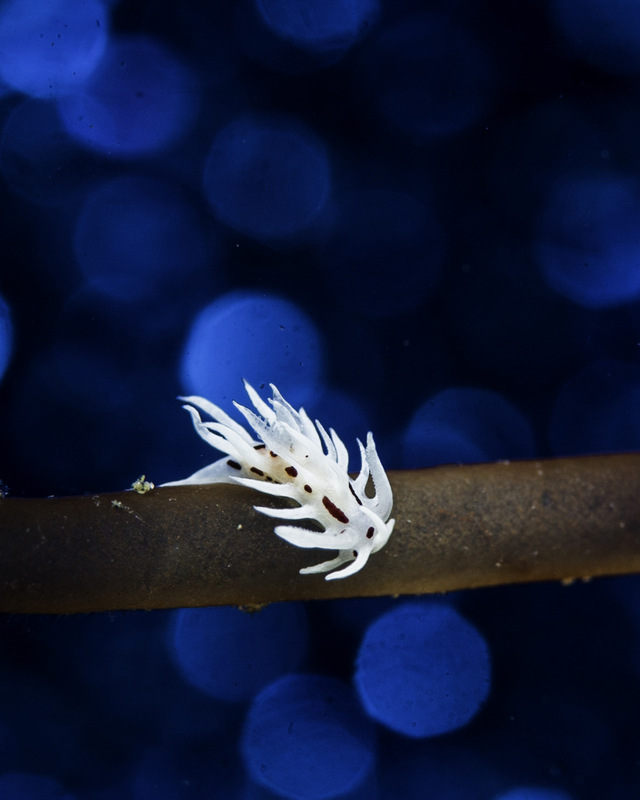 Lembeh is famous for being the "Macro Diving Capital of the World" as near enough anything weird, wonderful and smaller than a shoe can be found here. 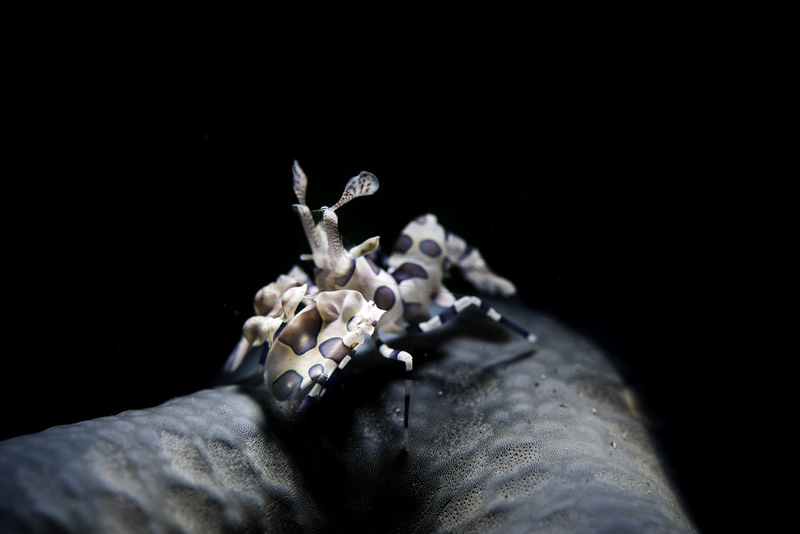 When visiting Lembeh one can hope see a plethora of fascinating creatures the likes of which you may have never seen! 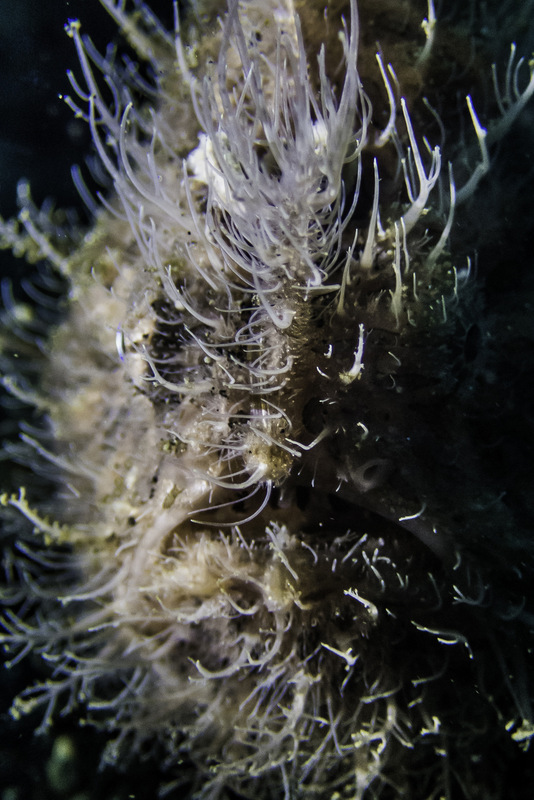 We guarantee our highly trained Spotters/Dive Guides will do their utmost to find the creatures you desire to see the most. 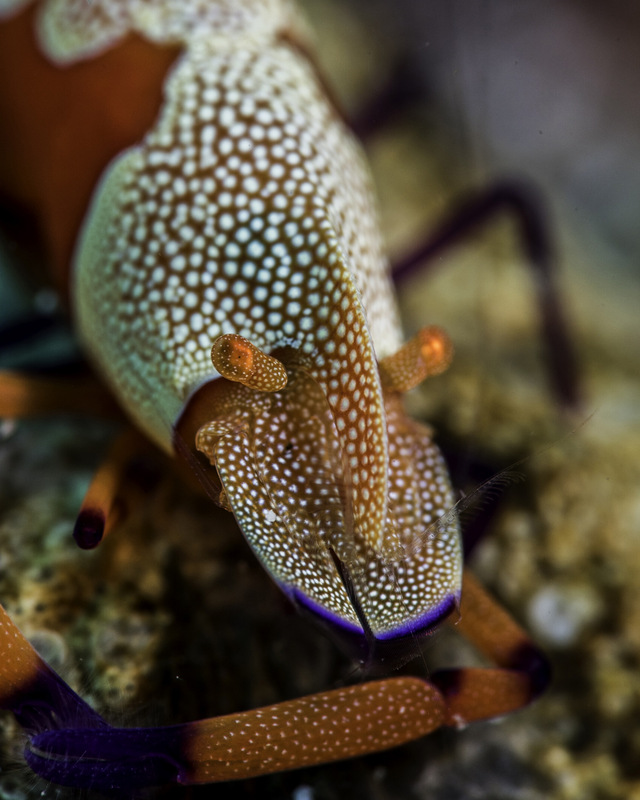 Lembeh further boasts a collection of stunning reefs, bustling with life and colour should one desire a break from the critter searching. 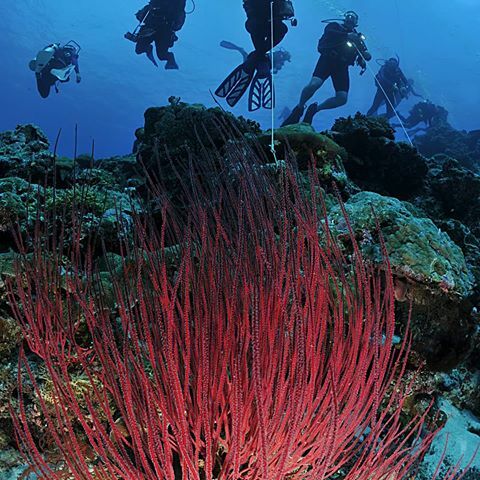 There is such diversity in the array of dive sites on offer that one can never grow tired! We have both specially dedicated cylinders for NITROX and Air (in 15l and 11l) that cater to both DIN and A-Clamp (yoke) regulators. 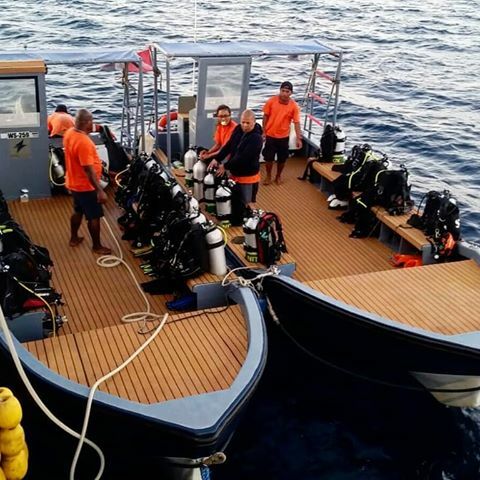 We offer the full range of Mares equipment to rent as well as dive computers. Please let us know prior to arrival if there is any equipment you will be needing. 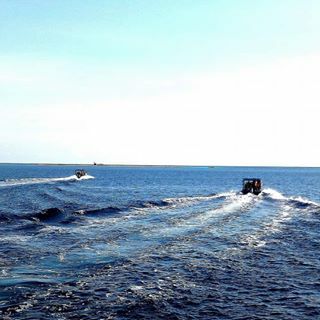 From our private jetty you have the option to dive straight from there; or take one of our two boats to venture to other dive sites in mere minutes. We have a purpose built Camera Room for storage and charging of all necessary equipment during your stay. The sockets are Universal and are 220V 50Hz rated, additionally we have an Uninterruptible Power Supply through the Camera Room. 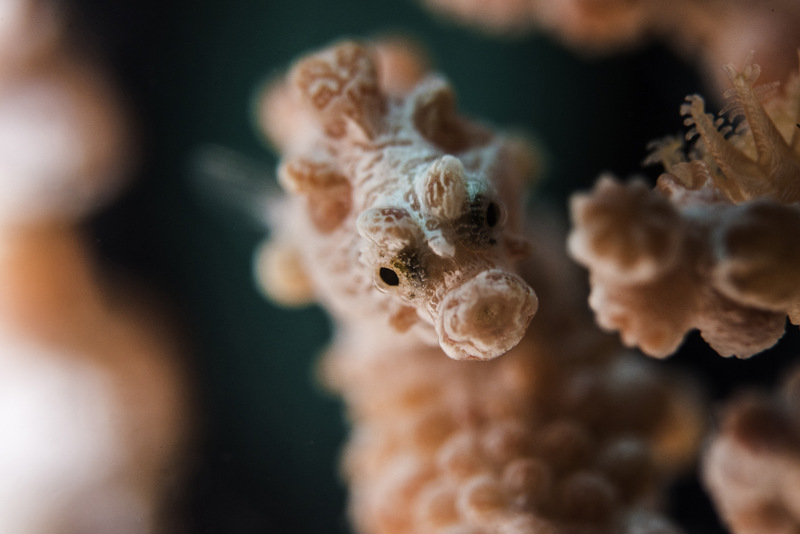 We offer the full range of PADI courses from Discover Scuba Diving up to Divemaster! Additionally we offer PADI Specialities such as Enriched Air Nitrox. For more information on any courses please contact us via e-mail. Pictured you can see our map of the dive sites in relation to where the resort is located. 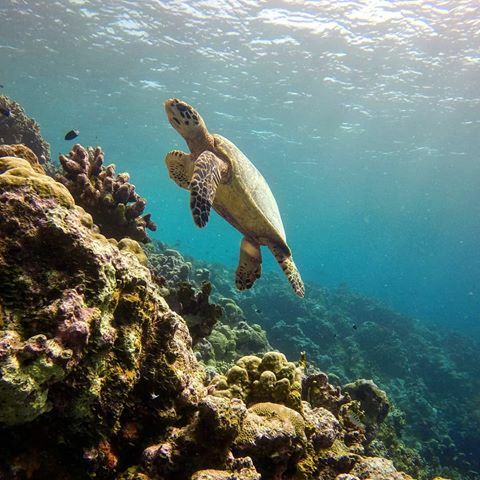 The crew will inform you upon arrival what dive sites are "hot," meaning frequent sightings or rare critters in recent days. The bulk of the dive sites within the channel are varying muck dive locations. 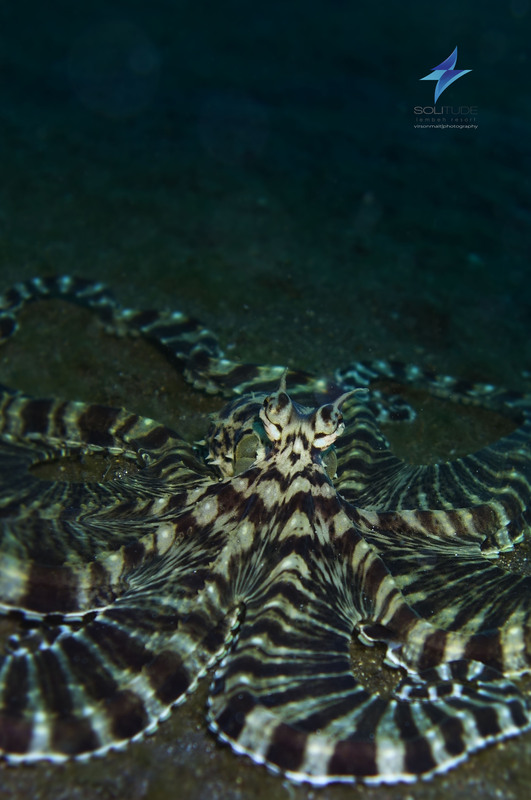 Whereas if you venture North and around to the East side of Lembeh Island you'll find the stunning reefs. Generally these trips are scheduled for full day trips - If you'd be interested in organizing such a trip during your stay please let us know in advance! Best Time of Year to Dive? 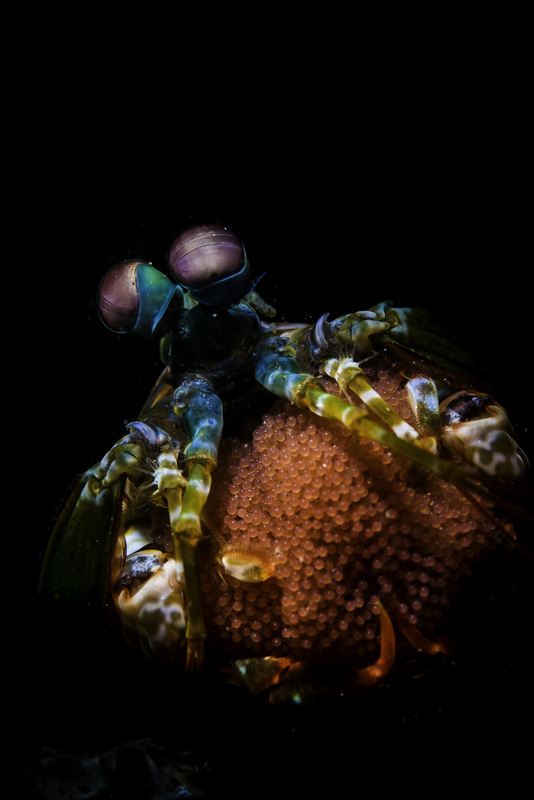 There is no “best time” per say, due to the sheltered nature of the Lembeh Strait and the short distance to many of the dive sites, there is world-class muck diving all year round. Furthermore, many of the elusive critters guests come to specifically see can be found throughout the year. 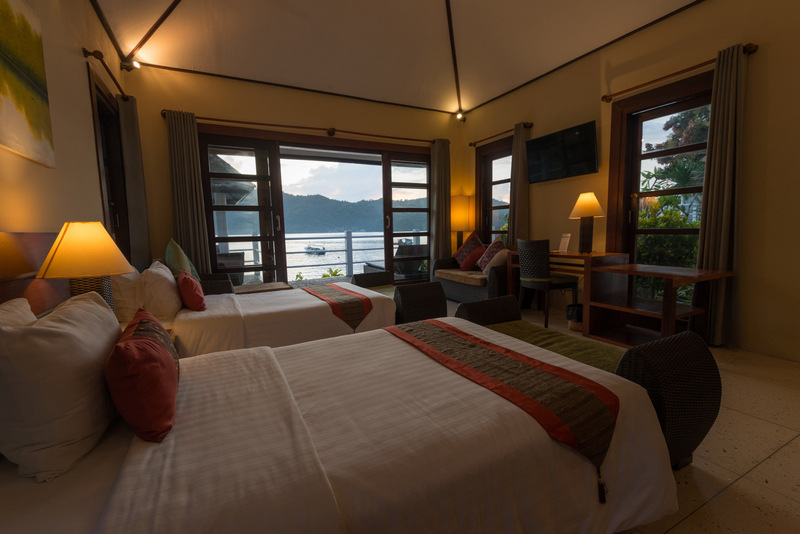 The water temperature in Lembeh is usually 28-29°C from October till March, before starting to drop and reach temperatures of 25-26°C in July and August. The temperature ranges between 23-32°c with an average humidity of 60-70%. The ‘rainy season’ is generally between December and March, whereas the ‘dry season’ is usually from July till September. 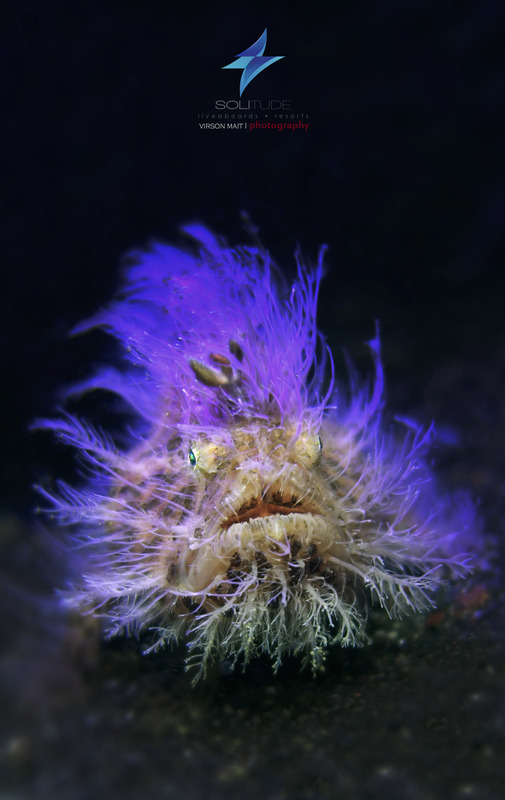 Although the diving is still exceptional regardless of the time of year. The diving is generally very simple in the sense there is seldom much current and/or waves. Additionally, the sites range from 5m to 30m and so perfectly adequate for any entry level certification (i.e. Open Water Diver or equivalent). However, we strongly advise that one has excellent buoyancy control prior to arriving (if you’re not confident in this regard we can organise a course to refine your buoyancy). 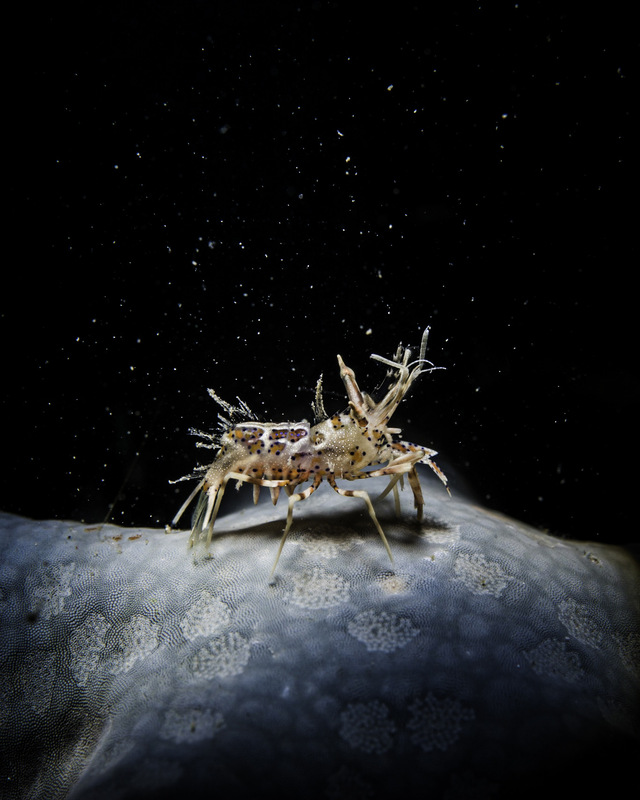 Many creatures found here are extremely small and dwell in the sand, with poor control it’s possible to unintentionally harm these amazing critters as well as disturb the resting sediment. We will arrange for a driver to pick you up from the airport and drive directly to the resort. 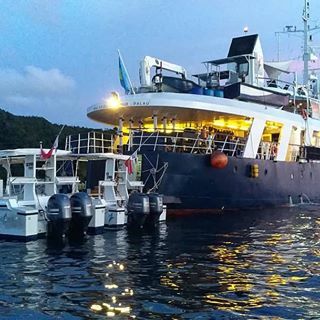 As we're not based on Pulau Lembeh, there is no need to transfer onto a boat. What Type of Food should I Expect? 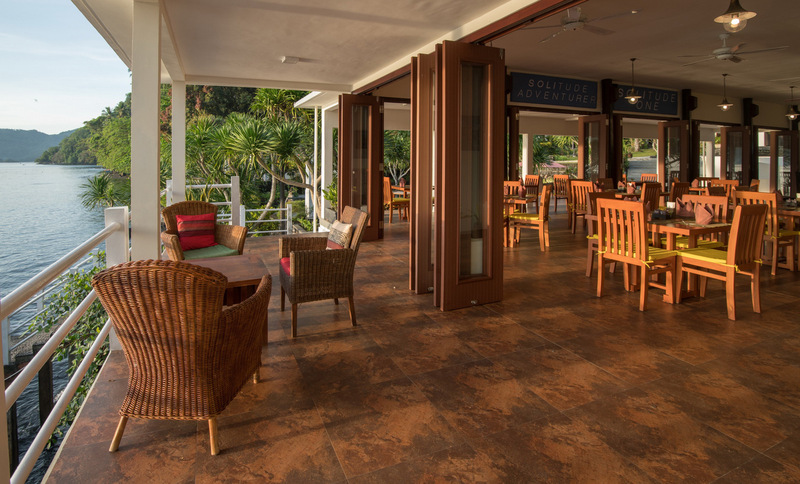 Our Team of Chefs offer an extensive choice of delicious local cuisine and international dishes. All meals are available a-la-carte, though we do additionally offer lunch buffets. Should one have any dietary requirements, please let us know prior to arrival so we may make the necessary preparations to ensure the food is to your liking. We recommend guest do not drink from the tap. We supply each room daily with plenty of water as well as on the dive boat and with all meals . 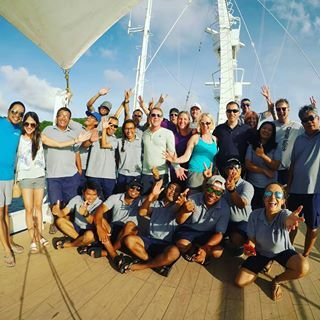 Should one require even more our Resort Staff will be happy to assist you. We will try to accommodate earlier arrival guests based on the availability and the readiness of each designated villa. be charged one full night room rate. What Amenities are in the Room? shower amenities and LCD TV with international channel. Internet access is also available in all of our rooms. Are there other Activities besides Diving? 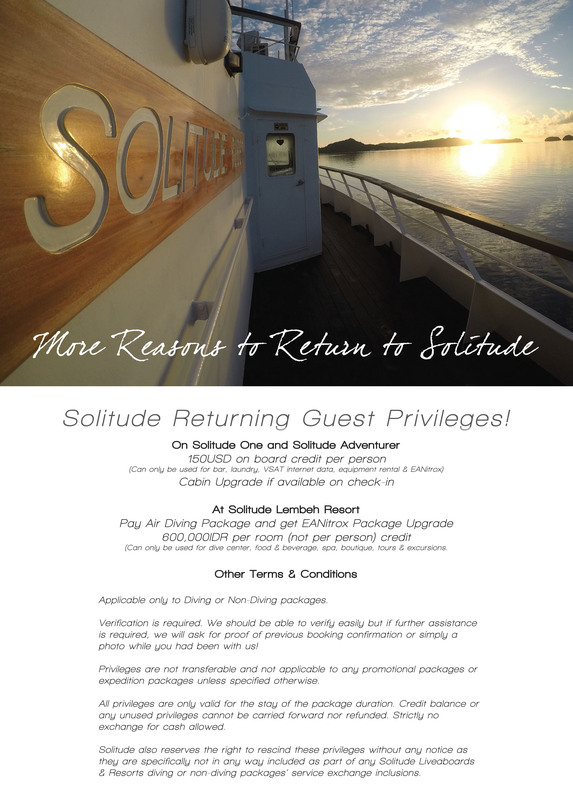 Take a look at photos & videos from the rest of our Solitude family!